Danish Broadcasting Corporation (DR) is the danish counterpart to BBC. Giving the Danes all sorts of public service TV and Radio… and then some. 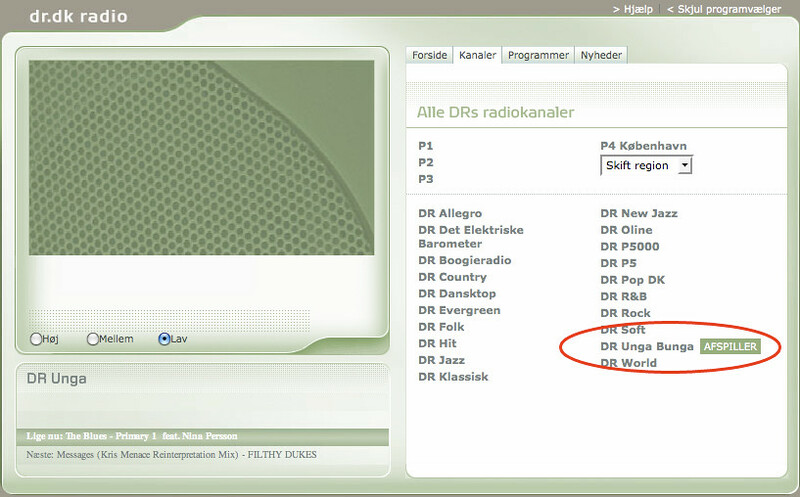 In the past couple of years DR has offered its listeners several radio channels online. Each one with a different theme – from childrens radio to country/western. One that falls in a particularly noticable category is the channel ‘DR Unga Bunga‘. 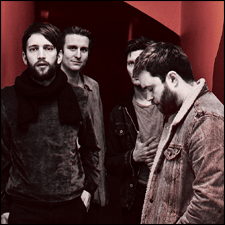 A peculiar mix of indie, electronica and techpop with harmony and melody as core. But the real cool thing is that it mixes known artists with some unfamiliar to most. Screen from DR Unga Bunga. DR Unga Bunga is the natural alternative to Last.fm in the sense, that it presents new artists to me. As DR writes in their own presentation: “DR Unga Bunga is for the curious ear”. And it surely is interesting. Before today I had never heard of ‘Giana Factory’ or ‘Filthy Dukes’ – Both really catchy projects. Latebar hereby recommends DR Unga Bunga to everyone. I’m sure the more web savvy user might be able to pull the feed into their own websites et cetera. This entry was posted on Sunday, June 27th, 2010 at 12:02 pm	and is filed under Music - misc. You can follow any responses to this entry through the RSS 2.0 feed. You can leave a response, or trackback from your own site.